This edited collection focuses on performance practice and analysis that engages with medical and biomedical sciences. After locating the `biologization' of theatre at the turn of the twentieth century, it examines a range of contemporary practices that respond to understandings of the human body as revealed by biomedical science. In bringing together a variety of analytical perspectives, the book draws on scholars, scientists, artists and practices that are at the forefront of current creative, scientific and academic research. Its exploration of the dynamics and exchange between performance and medicine will stimulate a widening of the debate around key issues such as subjectivity, patient narratives, identity, embodiment, agency, medical ethics, health and illness. 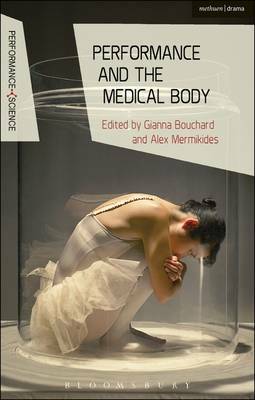 In focusing on an interdisciplinary understanding of performance, the book examines the potential of performance and theatre to intervene in, shape, inform and extend vital debates around biomedical knowledge and practice in the contemporary moment.